A large percentage of what university major gift officers do is call alumni — people who in some cases haven’t been heard from by the institution in several years, even decades. Often, these are blind phone calls to individuals who also are receiving calls constantly from other universities as well as an array of non-profits and charitable organizations. It’s not always the easiest call to make. 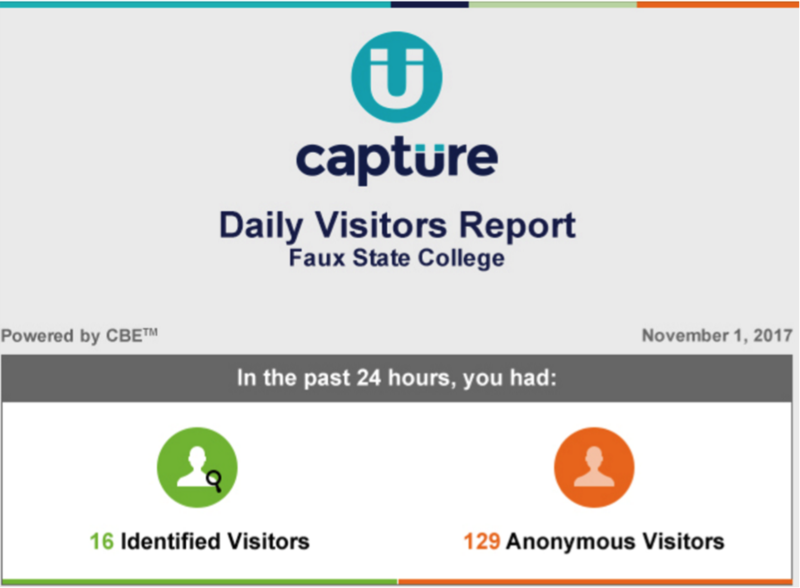 Enter Capture Behavioral Engagement’s (CBE) Daily Visitor Report — a difference maker for major gift officers at the beginning of the discovery process. 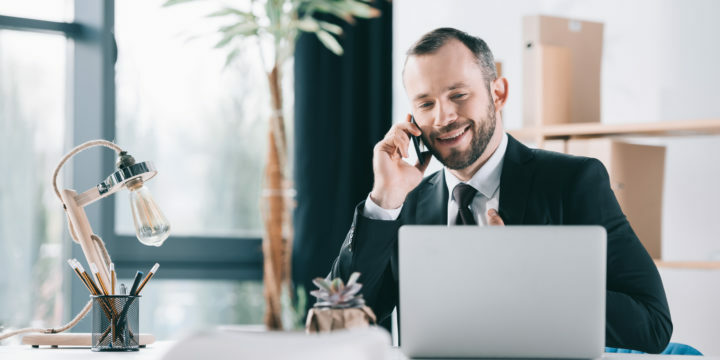 What if instead of blindly reaching out to these high-capacity alumni, you were able to make those calls based off a report that showed a prospect’s activity on your website? What if you had something specific and purposeful to talk with them about — a subject you know they are interested in now because they have been looking at it on your website? No longer are you randomly engaging them about something that dates back to their student days — “So, I see you were on the water polo team” — you are talking to them about the entrepreneurship center, whose web page they visited earlier in the week. Maybe there is an event at the center this weekend and you would like to invite them to it. Their browsing history, which you can see on your daily visitor report, has indicated a meaningful approach you can take with them. Below is an example of the daily visitors report our partners receive each morning. Your report would include names, capacity and affinity scores for alumni reading articles, registering for events, researching athletics or otherwise active with your university online. What does this do for development offices? It takes the blinders off. It changes when development officers reach out to high-capacity alumni and how efficiently they reach out to these alumni. It allows them to reach out intentionally and with the most up-to-date information. If you would like to explore more, click here to to watch a short video and see frequently asked questions.